An exciting opportunity to join a committed consultant-led multidisciplinary team delivering inpatient specialist palliative care for North West Wales. St David’s Hospice is looking for an enthusiastic individual to join their well-established medical team providing specialist palliative care to people living with life limiting illness. 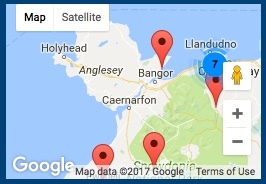 As a charity our services are free to people over the age of 18 within the catchment area of North West Wales and the border areas, this covers a population in the region of 350,000. St David’s Hospice is a purpose built hospice with 12 inpatient beds and a dedicated day therapy unit. A new satellite Hospice Unit will open at Holyhead in Autumn 2019. We provide a full suite of services to ensure that all the physical, psychological and spiritual care needed by our patients and their families and carers are met using a multi-professional approach. The successful applicant will join a dedicated medical team led by a Consultant in Palliative Medicine. Similar benefits to the NHS on pension, sick leave and holidays entitlements. Training and education opportunities including post-graduate study in palliative care. Applicants must possess full registration with the GMC. Consultants in Palliative Medicine Dr. Gemma Lewis-Williams on 07557 312193 or Dr. Helen Mitchell on 07785 454334 Trystan Pritchard, Chief Executive at St. David’s Hospice on 01492 879058. Closing Date : 10:00 am 28th May, 2019. Interview Date : To be confirmed. Hospice Receives Donation from Freemasons →← Join in the Nick Beer 1km Fun Run!